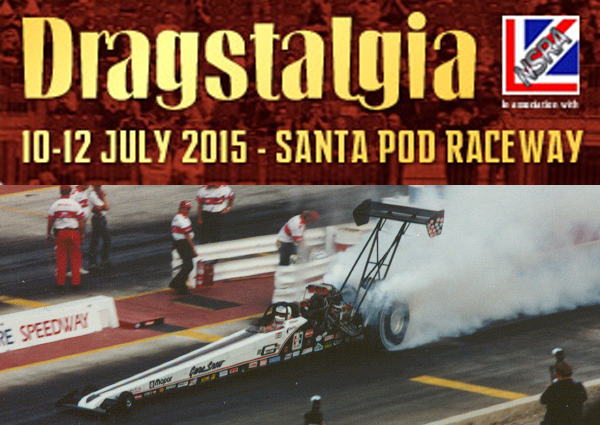 If drag racing, classic American cars, dragsters, hot rods, bikes and all things vintage are your thing then look no further than Santa Pod’s Dragstalgia! Nostalgia Cannonball – Gasser Circus – Wild Bunch – Outlaw Anglia – Supercharged Outlaws – 2nd Annual Willys Wars – Superstock – Outlaw Flat Four – NSA Bike Shootout – Outlaw Street. Find out more about the classes on the Santa Pod Raceway site. Off the track, there is the Autoglym Show & Shine where you can see / display a wide range of pre 1980 vehicles including Hot Rods, American cars & bikes and other Retro and Classic vehicles. If you wish to put your mean machine on display it is free to enter (just turn up and register on the day) various prizes and trophies are up for grabs! Full information on all attractions is on the Santa Pod Raceway site. There’s fun for all the family off-track with plenty of Fun Fair Rides and side shows. There will be plenty of food and drink available from a range of traders on site as well as the Fuelers Bar which is open late with live entertainment. You can also be some local ales featured in the Dragstalgia Beer Festival in the Fuelers bar for real ale lovers – open from Friday. Find out more about the acts on the Santa Pod Raceway site. Camping is included with weekend tickets. Gates opening at 8am Friday. Separate Hot Rod only camping field. Advanced ticket prices end on Friday 3rd July at 5pm. After this time only “print at home tickets” will be available at standard rate. VIP/Hospitality Tickets are available from £99 per person for those wishing to enjoy the VIP experience including lunch.